Dr Richard D. Ryder read psychology at Cambridge University where he studied animal behaviour and obtained his Ph.D. He worked for many years as a clinical psychologist and psychotherapist in Oxford, and was Mellon Professor at Tulane University. He became a key figure in the animal rights revival of the 1970s, coining the word ‘speciesism’ and playing a leading role in its rise to international and political recognition and was a director of the Political Animal Lobby (PAL). He is a past Chairman of the RSPCA Council and an ethicist. His books include Victims of Science (Davis-Poynter 1975), Animal Revolution (Blackwell 1989), The Political Animal (McFarland 1998) and Speciesism, Painism and Happiness (Imprint Academic 2011). Dr Deborah Jones is Vice-Chair of the international organisation Catholic Concern for Animals and a Fellow of the Oxford Centre for Animal Ethics. She holds a doctorate in animal theology and has worked as editor of The Ark, the Catholic Herald and as deputy editor of Priest and People. 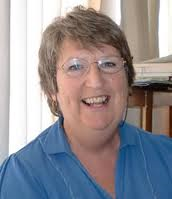 She is a writer, a lecturer and has been a diocesan adviser for adult religious education. 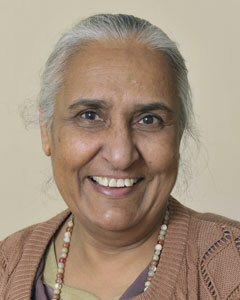 She is the author of The School of Compassion (Gracewing 2009). Rev. Christa Blanke is a German Lutheran theologian and the founder of Animals’ Angels, the German animal protection organisation that follows trucks during long distance transport across Europe and around the world in order to provide them with sustenance and obtain evidence to campaign against live animal transport. She is an experienced campaigner within the EU and has written poetry and several books, including ‘With the Eyes of Love’ and ‘Let My People Go’ . Kay, Duchess of Hamilton, is also patron of Scotland for Animals and has a long record of campaigning for animal welfare with her late husband Angus, 15th Duke of Hamilton, the premier peer of Scotland. In particular, they campaigned against pate de fois gras, snaring, cruel abattoirs and bloodsports. Once, when asked why he had banned pheasant shooting on his estates, the Duke (an ex RAF pilot) replied, “Have you ever been shot at while flying? Well, I have, and I can tell you it’s not much damned fun!” He was the grandson of Nina, Duchess of Hamilton, who campaigned so effectively before the Second World War for humane slaughter and against vivisection. 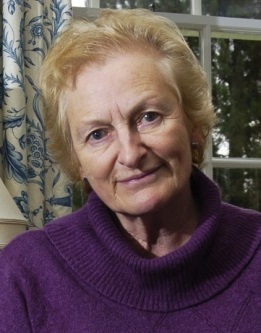 Joyce D’Silva has worked for Compassion in World Farming (CIWF) since 1985 and was its Chief Executive from 1991-2005, after which she became its Ambassador. During this time CIWF was responsible for effecting a considerable amount of legislation, both in the UK and the EU, which improved the lives of billions of farm animals. She has written the vegan cookery book Healthy Eating for the New Age and co-edited The Meat Crisis: Developing Sustainable Production and Consumption. She has recently overseen CIWF’s publication of Farmageddon by Philip Lymberry with Isabel Oakshott. Editor–in-Chief for Resurgence Magazine for over 40 years, Satish was born in Rajasthan in India and became a wandering Jain monk when he was nine years old. At the age of eighteen he became a campaigner for land reform, working to turn Gandhi’s vision of a renewed India and a peaceful world into reality. He undertook an 8,000 mile peace pilgrimage, walking from India to Europe and then America, without any money, delivering packets of ‘peace tea’ to the leaders of the four nuclear powers. In 1973 he settled in England and took on the editorship of Resurgence Magazine and is a director of Schumacher College at Dartington. 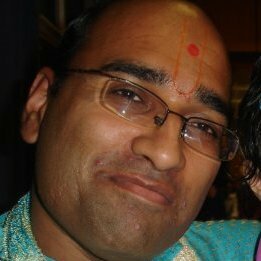 Nitin Mehta is the founder of The Young Indian Vegetarians and editor of Ahimsa magazine. He is also a patron of Quaker Concern for Animals. He is the author of Sunil’s Kenyan Days, Benefits of Vegetarianism to Africa and Future in Our Hands. Dr Andre Menache BSc(Hons) BVSc MRCVS is a veterinarian who advises extensively on animal welfare matters. He is director of Antidote Europe, based in France and is a patron of Quaker Concern for Animals. 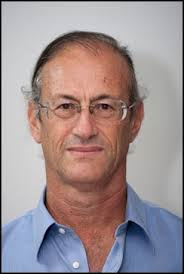 He has been president of Doctors and Lawyers for Responsible Medicine (UK) and general manager of The Federation of Animal Protection Societies in Israel. He currently provides scientific support to several grass roots organisations. Dr Alpesh Patel received his Phd in Biochemistry from Kings College, London and is the Science Officer for the Dr Hadwen Trust (DHT), where his role involves advancing the development, understanding and uptake of alternative methods of biochemical research. 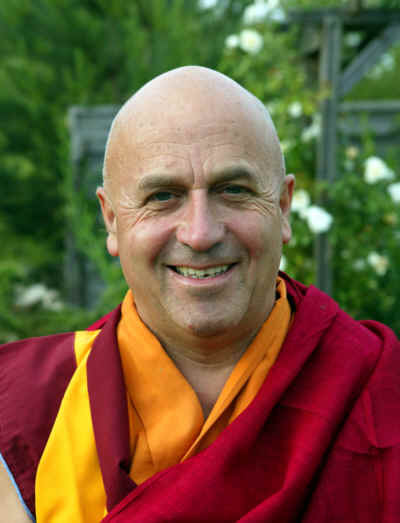 Dr Matthieu Ricard is a French Buddhist monk who resides at Shechen Tennyi Dargyeling Monastery in Nepal. He is the author of many books, including ‘Happiness: Developing Life’s Most Important Skill’, ‘Altruism: The Power of Compassion to Change Yourself and the World’ and ‘A Plea for Animals: Developing Kindness Towards All’. Anant Shah is a philanthropist and trustee of several animal charities, including the Brooke and the Animal Helpline in Gujarat, India. He is a senior director of the Meghraj international banking group which was founded by his father and is largely focused in India and Africa. 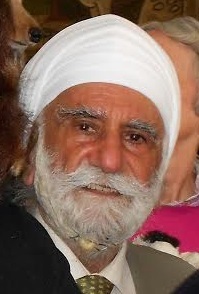 Ajit Singh MBE has devoted nearly fifty years of his life to promoting interfaith understanding, community cohesion, inter-racial harmony and peace at local, national and international levels. In 1988, he was awarded an MBE by Her Majesty the Queen for his services in the field of community development and racial harmony. He is an environmentalist and belongs to the Sikh tradition who are totally vegetarians and practice non-violence towards animals. He was a member of the Royal Town Planning Institute and the Commission for Racial Equality (now called the Equalities and Human Rights Commission) Working Party which produced the famous report ‘Planning for a Multi-Racial Britain in the 1980s’. He has been a co-founder and Chair of the Kingston Group for Racial Understanding, the first interfaith group in the UK in the 1970s (now Kingston Racial Equality Council) and Hounslow Friends of Faith. He chaired Hounslow Multi-Cultural Centre for seven years and for the last twenty years, he has chaired the Ethnic Minorities Consultative Group of the London Borough of Hounslow. He has been closely involved with the Westminster Interfaith Programme for over thirty years and is the executive committee member of the World Congress of Faiths which organises a service for animals every year. He serves on the Peace Commission of the International Association of Religious Freedom. He has also been the Vice Chair and Deputy Chief Executive of United Religions Initiative UK for ten years. He has also contributed to the World Council of Churches Assemblies and to the Parliament of World Religions. Charanjit is at present the chair of International Interfaith Centre, Oxford, the Chair of Hounslow Friends of Faith, one of the Vice Presidents of the World Congress of Faiths and a member of the Peace Commission of the International Association of Religious Freedom. She serves on the editorial board of the famous interfaith magazine ‘Faith Initiative’ and, at her suggestion, an issue was devoted to Faith and Animals. She has received awards from the India International Foundation for services in the field of administration and governance in the UK and from the Mayor of London as the Sikh Woman of Achievement. Over the last forty years, Charanjit has lectured in many international conferences including the World Council of Churches and the Parliament of World Religions, participated on radio and television programmes and contributed to many publications, reference books and encyclopedias including the Encyclopedia of Christianity. A reputed author of the book ‘Wisdom of Sikhism’ , she also wrote the Sikh statement on Nature, for the World Wide Fund for Nature and the Alliance of Religions and Conservation which was presented to the Duke of Edinburgh in 1989. In November 2008, she had the honour of being the Sikh signatory to the Interfaith Climate Manifesto, signed by thirty religious leaders and scholars across the globe at the Cathedral in Uppsala, Sweden. She has participated in the World Congress of Faith service for animals since its inception as a part of her commitment to being a Sikh vegetarian. Professionally an educationist, she has served as a lecturer, principal, director of education and as an Ofsted inspector. She has also served on health boards as a non-executive director. Mohammad Safa is committed to the concept of non-harming in Islam. In 1972, he came to England from Bangladesh to study accountancy. Afterwards he founded the Bhelpoori House Indian Vegetarian Restaurant in Islington (https://theindianveg.wordpress.com), which he now runs. The Animal Interfaith Alliance is a registered not-for-profit company number 8958588.